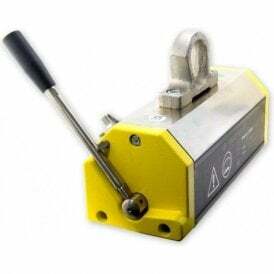 Lifting and handling magnets offer efficient handling of large ferrous items in warehouses and industrial settings and have been tested to lift 3x their safe working load. 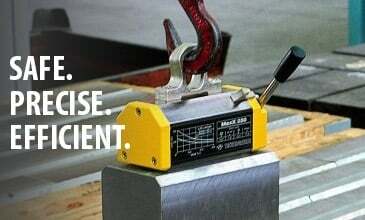 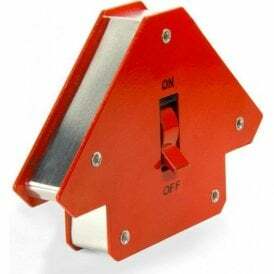 With instant on/off operation, easily manoeuvre ferrous loads and improve your lift rate at no additional cost. 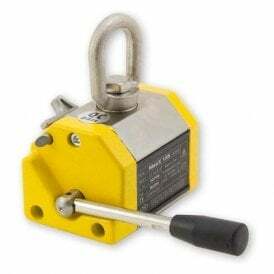 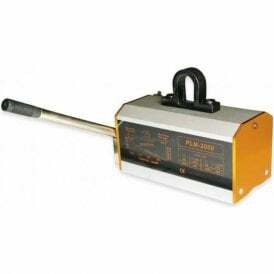 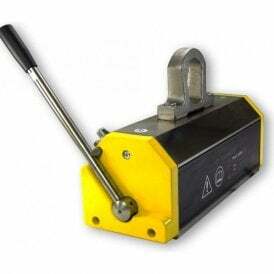 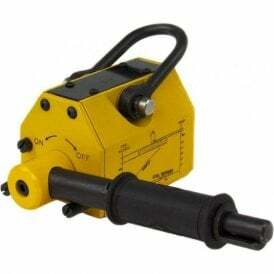 Using lifting magnets is the safest and most efficient method of handling and moving large ferrous loads. 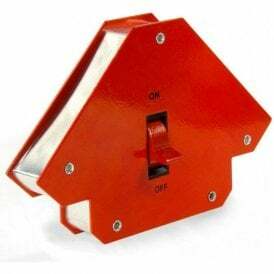 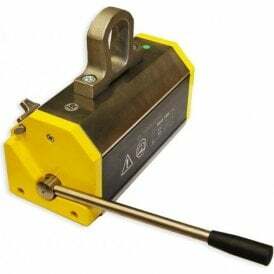 Our range of Technomagnete magnetic lifters use permanent, switchable magnetic technology (no electricity required) and are European-made and tested to hold three times their labelled safe working load (SWL). 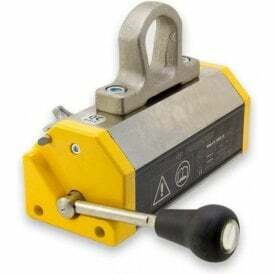 With no running costs, permanent lifting magnets can significantly increase your lift rate and operating costs. 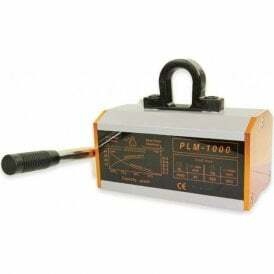 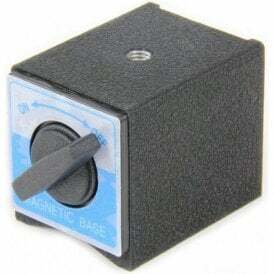 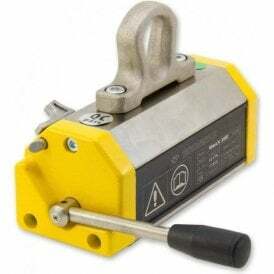 Each of our lifting magnets is manually operated, allowing the user to quickly and safely switch between the magnetised and demagnetised phase. 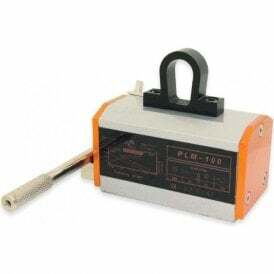 Safety is the most important consideration when choosing a lifting magnet and each of our products is supplied with a data sheet, on-device safety information and safety catch to prevent accidental release. 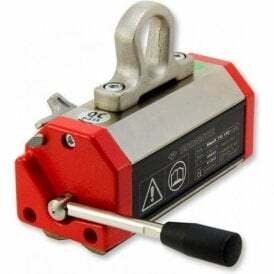 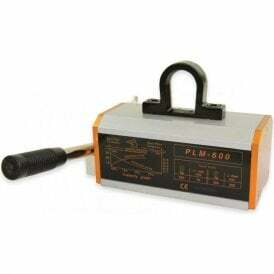 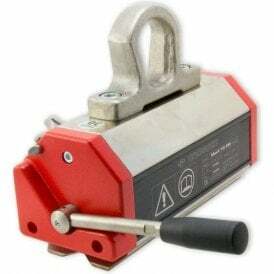 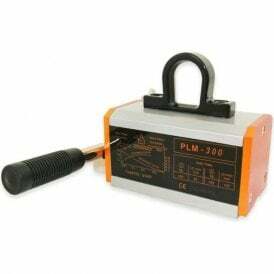 In our range you will find lifting magnets capable of holding steel loads from 125kg up to 2 tonnes in optimum conditions, furthermore each magnet is covered by a five year warranty. 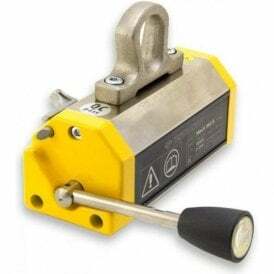 If you require advice or clarification on the right lifting magnet for your application please call our technical sales team on 0845 519 4701 today.